A weather radio can potentially save your life by alerting you ahead of time before severe weather strikes. They will also keep you safe and informed by relaying the latest information from the authorities during a severe weather event. So it's important to not only choose a reliable weather radio but to program it correctly. In this article, we will show you how to set up and program our top-rated weather radio the Midland WR400. One of the reasons why we recommend the Midland WR400 is because it's straightforward to set up. Unlike many radios, you don’t need to know or program in a SAME county code. You only need to select your state and county during the setup process (there is still the option to manually enter SAME codes if you prefer). We’ve provided a video version of the instructions as well as typed them out for you below. Before you begin, first install 4 AA batteries into the battery compartment on the bottom of the receiver. Then connect the AC adapter and plug your radio into a wall outlet. Ensure the radio is receiving power. If you are using the radio for the first time, the menu will appear automatically. If the radio was previously programmed, press the “MENU” button to enter the menu. Use the up and down arrows to scroll through the menu, and press “ENTER” to change the settings. We will assume that your radio has not been programmed already in the directions below. Here are the quick start instructions to set up your Midland weather radio. For more help please refer to the instructio﻿﻿n manua﻿﻿l. 1. “SELECT LANGUAGE” should appear on your display. Select a language by pressing “ENTER,” then using the up and down arrows to find your language. Press “ENTER” to select the language, and proceed to set up your location. 1. “01 EMPTY” should appear on your display. Select your location by pressing “ENTER,” and then use the up or down arrows to switch to “SINGLE.” When this appears, press “ENTER” again to set. We recommend using the “SINGLE” location when programming your radio (instructions you see below are for this method). Only use the “MULTIPLE” and “ALL” options if receiving alerts for a wider area is relevant. For example, the “MULTIPLE” feature might be useful if you live close to a county border. Programming your radio for the next adjacent county will give you advance notice of incoming severe weather. If you’re an emergency manager or first responder, using “ALL” is wise. 4. Finally, use the up and down arrows to select your county, then press “ENTER.” Now the receiver will take you to the time setup. 2. “SETTING HOUR” should appear, use the up and down arrows to set. When complete, press the right arrow. Do not press “ENTER” or the radio will exit out of the time setup. 2. 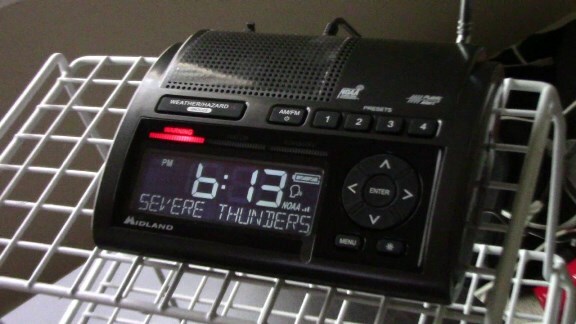 Your weather radio is now set up and ready to use. Press “WEATHER/HAZARD” to confirm the appropriate station is selected, and use the volume wheel on the right side of the radio to adjust the volume to a reasonable level. If you have not purchased a weather radio already, please consider these important features that all high-quality emergency weather radios should include. After reviewing the best weather radios on the market, our number one recommendation is the Midland WR400. The WR400 not only works as a weather alert radio but also doubles as an alarm clock with AM/FM radio. The WR400 is Public Alert certified, which means it meets specific technical standards developed by the Consumer Electronics Association in conjunction with the National Weather Service. Weather radios that display the Public Alert logo include the features listed below. SAME stands for Specific Area Message Encoding. It was introduced to allow weather radios to sound alerts only for your local county or the area you choose to monitor. Early weather radios did not have this feature and alerted to every watch or warning for the weather radio station’s broadcast area. SAME technology minimizes the risk of any “false alarms” from events that are a few counties away from where you live. Public Alert certified radios must be able to operate with a battery backup power supply. A receiver with backup batteries allows you to continue to receive alerts if the power is out, which can often occur during storms. While the weather radio network is expansive and covers well over 90 percent of the U.S., in some areas—even in some suburban and urban areas—the signal may be weak. A reasonably strong signal is required to receive alerts reliably, so most weather radios (including the Midland WR400) allow for the connection of an external antenna to boost reception. While not required on consumer Public Alert radios, the Midland WR400 includes an external notification jack. This feature allows those that may be hard of hearing or deaf to receive critical weather alerts through external notification devices, such as a strobe light, bed shaker, or even a larger siren. Ensure your radio has adequate reception by checking in for the weekly tests, which occur on Wednesdays between 11 am and noon local time when severe weather is not present. 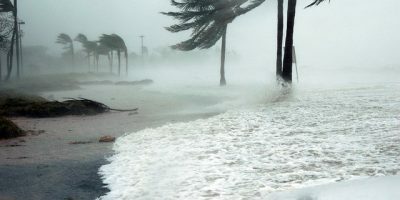 If your weather radio does not receive any of the test messages or actual alerts for more than ten days, a “CHECK WEATHER RECEPTION” message will appear on the display. If this happens, check your channel settings and county settings for any errors. If you have trouble finding reception, try moving your radio closer to a window or invest in an external antenna. It's also important to periodically check the battery levels and the condition of the batteries to ensure proper operation if the power does happen to cut out during a storm. The Midland WR400 includes a battery level indicator on the top right corner of the display for your reference. We also recommend reading through the instruction manual to learn more about your weather radio. The WR400 has a lot of useful features that we haven’t mentioned here, including the ability to customize the alerts to your specific needs. If you have any questions or are having trouble, please let us know, and we’ll be glad to help you out. Hi, thanks for stopping by. I'm the lead contributor here at Weather Station Advisor. I've had a lifelong interest in the weather spanning more than 30 years, culminating with the pursuit of a Meteorology degree from Millersville University in Pennsylvania. My interests lie in severe weather and climate change. I also have a degree in Journalism from Temple University, and have spent nearly my entire journalism career covering consumer gadgets. You might have seen my work on Digital Trends, PC World, VentureBeat, or even the New York Times website. I've written quite a bit! At Weather Station Advisor, I joined the team to provide you with the best reviews, recommendations and advice to get the most out of your investment. 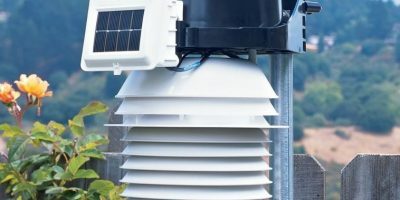 As I've found out on my own, weather stations aren't cheap, and it's easy to make a costly mistake. Isolated vs. 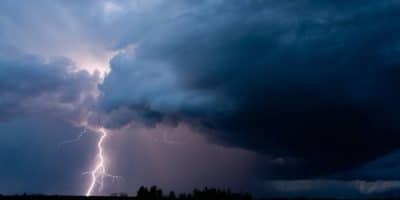 Scattered Thunderstorms: What Is the Difference? 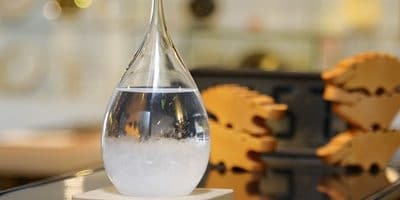 What Is a Storm Glass and How Does It Work? Hurricane Watch vs. Warning: What Is the Difference? AcuRite Atlas Weather Station Review: Does It Live up to the Hype? Weather Station Advisor Copyright © 2019. WeatherStationAdvisor.com is a participant in the Amazon Services LLC Associates Program, an affiliate advertising program designed to provide a means for sites to earn advertising fees by advertising and linking to Amazon.com. Amazon and the Amazon logo are trademarks of Amazon.com, Inc. or its affiliates.